Leading Manufacturer of organic potash powder, organic potash ash and organic potash soil conditioner from Jaipur. USAGE It is suitable for coating Bio-fertilizer Bacteria like KMB (Potash Mobilizing Bacteria) and Bio-Chemicals formulations. The product contains ORGANIC MATTER, so Bacteria can sustain longer time on this product. 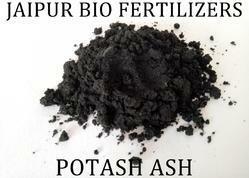 Looking for Organic Potash Powder ?